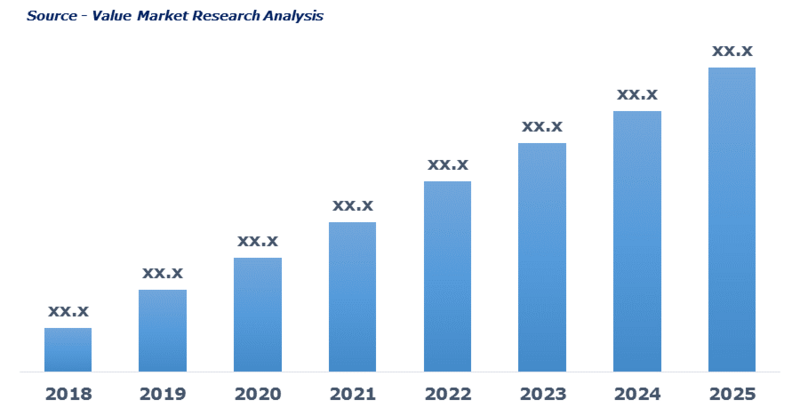 As per this study the Global Apoptosis Assays Market was valued USD 3575 MN (by revenue) in 2018 and is anticipated to reach USD 6966.7 MN by 2025 with a CAGR of 10%. Apoptosis is a programmed cell death performed by cells characterized by compaction of nucleus, shrinkage of cell cytoplasm, DNA fragmentation and cleavage of cellular proteins. Apoptosis is controlled cell ablation occurs naturally as it is a part of cell lifecycle. It is observed through flow cytomerty, spectrometry, and various other techniques in research institutes, diagnostic laboratories. Various assays such as caspase assays, DNA fragmentation assays, cell permeability assays and mitochondrial assays are used to detect apoptosis in cell population.